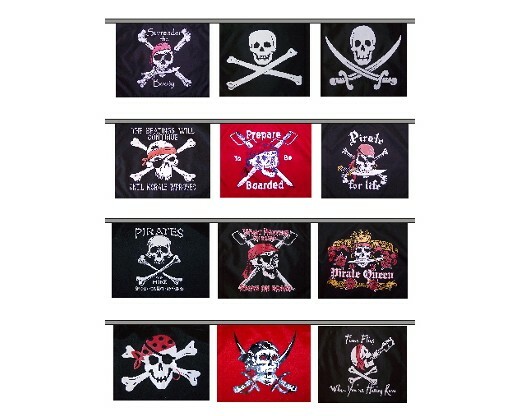 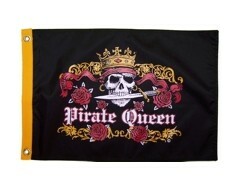 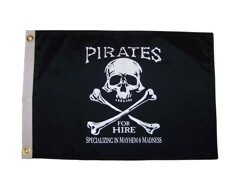 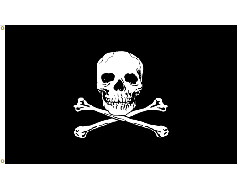 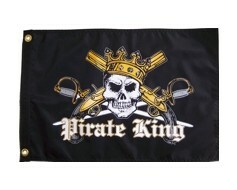 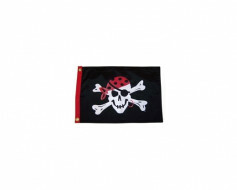 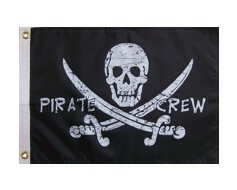 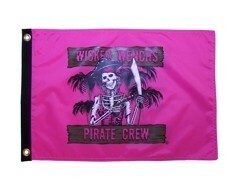 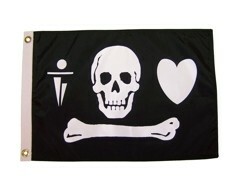 A fun collection of our most popular pirate flags, all sewn together to make a fun string of flags. 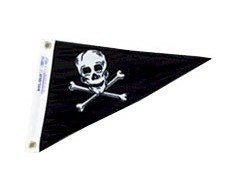 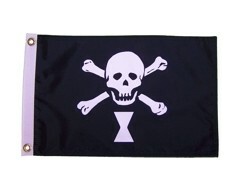 Use this as a pirate themed party decoration or to make your boat festive for a big day on the water. 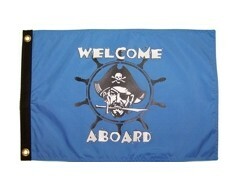 These are also fabulous for decorating your dock or porch at the lake house. 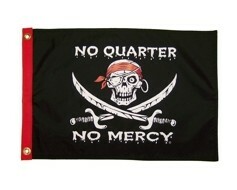 Thomas Tew Flag - 12x18"
Walter Kennedy Pirate Flag - 12x18"
Edward Low Pirate Flag - 12x18"
Sea Pirate Flag - 12x18"
Pirate Girl Flag (bow) - 12x18"
No Quarter No Mercy Flag - 12x18"
Wicked Wench Flag - 12x18"
6 flags on a 25' long string. 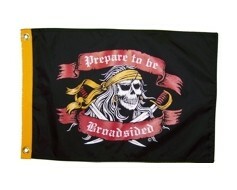 Each flag is 5" x 9" and printed on 1 side. 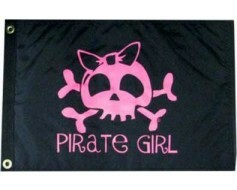 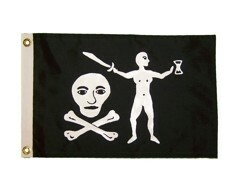 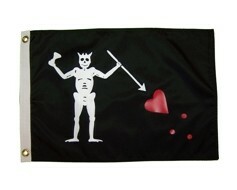 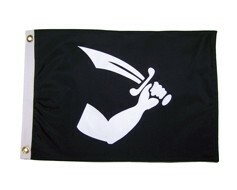 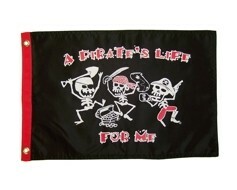 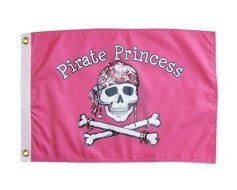 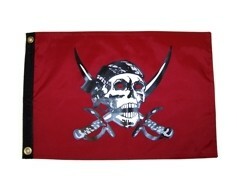 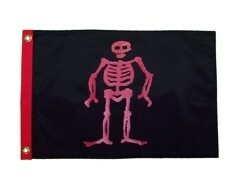 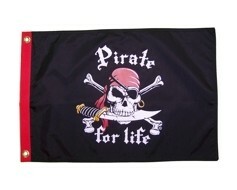 Great for parties or decorating your little pirate's bedroom!